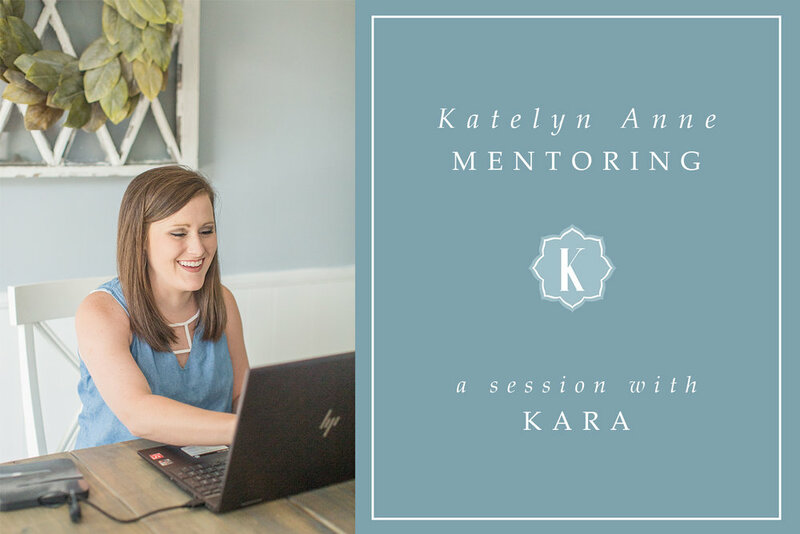 I was SO excited when Kara reached out about doing a mentoring session with me! It was so much fun having her over to our home a couple of weeks ago as we discussed her wanting to launch a photography business! Kara has done photography as a hobby for a couple of years, & it was finally time for her to step out & start a real business! I'm SO proud of all that she has accomplished since our session!! She now has an Instagram account dedicated to her new photography business, Kara Smith Photography, & she's already implemented so many of the shooting & editing techniques she learned during our session. I'm so excited to continue to see her business grow & continue to come alongside her in this photography journey! Before our session, I sent Kara a questionnaire to fill out to help us prepare for our time together. I was able to layout the various topics she wanted to discuss, & help her create a plan for meeting her goals for her business! I also got to take some headshots for her to be able to use in all of her branding! I just LOVED our time together & am so thankful she chose to invest in this education for her business. I wanted to share just a few words from Kara about her mentoring session experience!! "Oh my goodness, where do I begin?! I had the absolute BEST time learning all about photography & starting my own business from the wonderful & sweet Katelyn of Katelyn Anne Photography! I am SO excited to begin this journey & cannot wait to see what God has in store!! It has been a dream of mine for the past two years to start my own photography business, & with the help of Katelyn, I am more excited than ever!! Thank you to Katelyn for taking the time to mentor me & for caring so much about helping me on this journey to becoming the best photographer I can be!" If you're an aspiring photographer wanting help starting a business or you're already a photographer wanting to grow your business, I would love to come alongside you & mentor you! You can find out more information about my mentoring sessions HERE, & don't hesitate to contact me with any questions you have! I wanted to share just a few photos from my time with Kara!! And of course, we had to take a selfie!! SO proud of this girl! !